During a Black Friday promotion at Walmart four years ago, a massive group of people anxious to seize the one-day deals, turned this aptly-named day truly dark for one 34-year-old seasonal worker. The man was one of few employees pushing back against hundreds outside. As the crowd shattered the glass doors and ran for their gifts, the Walmart worker was trampled to death. In response to this event, OSHA released a document outlining a number of preparation tips for promotional sales events in retail stores. The document is linked above, but we’ve also provided a brief summary of those tips and added a few of our own below. Tip #1: To ensure no one is hurt, use retractable belt stanchions and other crowd control equipment in front of all store entrances. Remove the equipment with the help of security once your doors open. Be sure there’s enough space left between the barriers and the doors. Tip #2: Don’t allow large groups to “charge” the doors – create a public guidance system that allows only small groups of customers to enter through your doorways. Tip #3: Provide a safe entrance and exit for people with disabilities. Tip #4: In the store, use signage to direct customers toward exits, bathrooms, and major sale items. 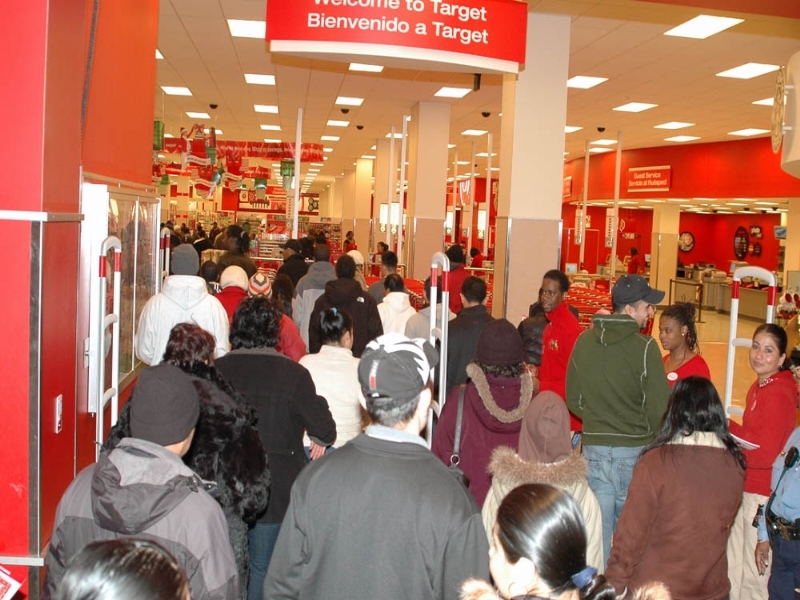 Tip #5: Determine the type of queue you’ll be using outside the store, at the registers, and at the customer service desk, and have that equipment in place before the crowds arrive. Tip #6: Inform customers that erratic behavior (including running, yelling, pushing, etc.) will not be tolerated, and those seen engaging in said behaviors will be asked to leave. Tip #7: Have a loud and clear PA system in place to communicate messages to customers and employees. A private communication system may be necessary for employees only. 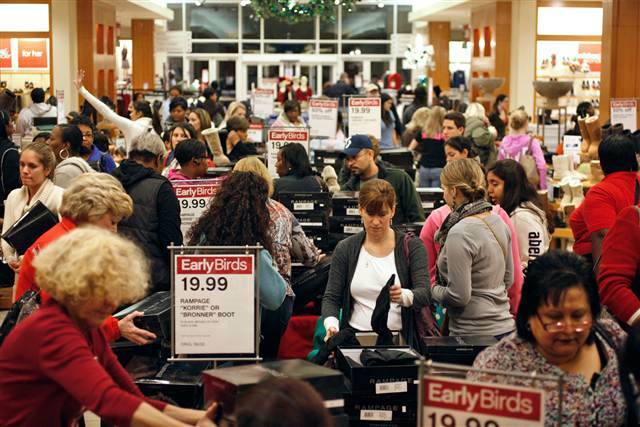 Don’t be left unprepared for Black Friday, because the hits you’ll take from an unruly crowd will far exceed those you’ll pay to be setup from the start. If you need some simple upgrades, or you’re looking for more direction on preparing for your Black Friday promotion, call one of our crowd engineers and they’ll be happy to walk you through some different strategies. Call 844.202.5910.